Whether you’re looking for a workout, lessons or just fun, the Pacha Aquatics Center’s heated pools are just the thing. 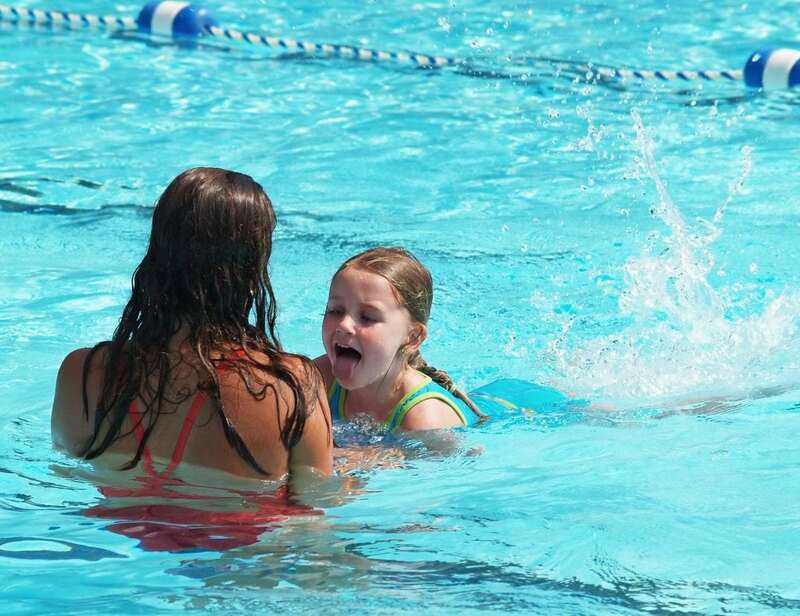 Learn about our swimming lessons and related information. The rules for the North Liberty Aquatic Center have been established for the safety of our guests. Find out more information about our rules. Rent the indoor or outdoor pool for an upcoming birthday party or family gathering. Grade School Age: 10 children per caregiver, within close proximity. This may require caregiver to be in the water, will be up to managers’ discretion. Open year round, our indoor pool features a six-lane, 25-meter lap area, a diving board, observation deck and more. This pool was designed to meet the needs of the community as a whole. We strive to provide a wide variety of activities and programs in a safe and clean environment. You can see what’s happening when on our schedule. 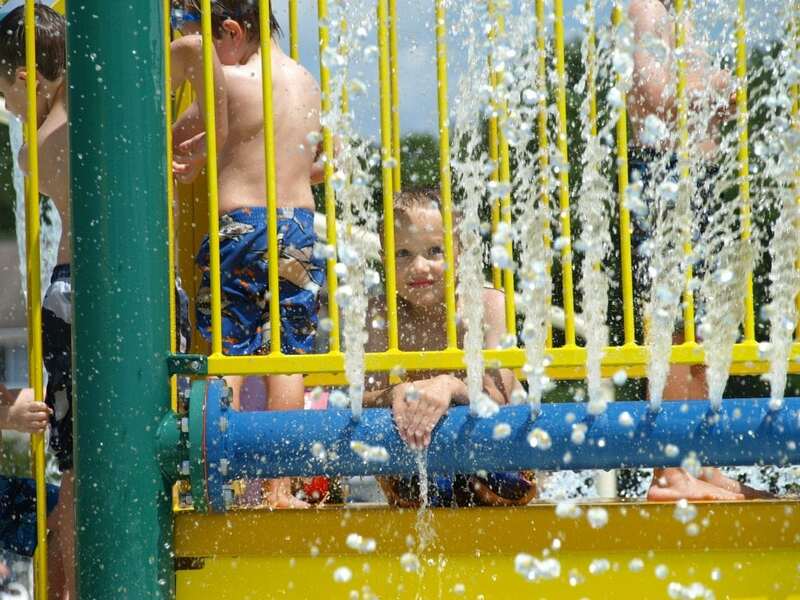 The North Liberty Outdoor Pool truly offers something for everyone! It allows a spot for toddlers to play, teens to hang out, adults to lounge in the sun and a shaded area for grandma and grandpa to comfortably watch the action. Fees are valid for admittance to both pools on a per-visit basis. Children must meet our child safety policy to use pool unattended. This means parent/ caregiver must be wearing a swim suit and be in the water with the child. All patrons entering the pool deck must pay the admission fee, regardless of their intent to swim. All other times the admission fee must be paid to enter the pool unless given special permission by front desk staff. We offer daily fees, as well as monthly and annual memberships to fit your needs.